Where are we, Mexico? 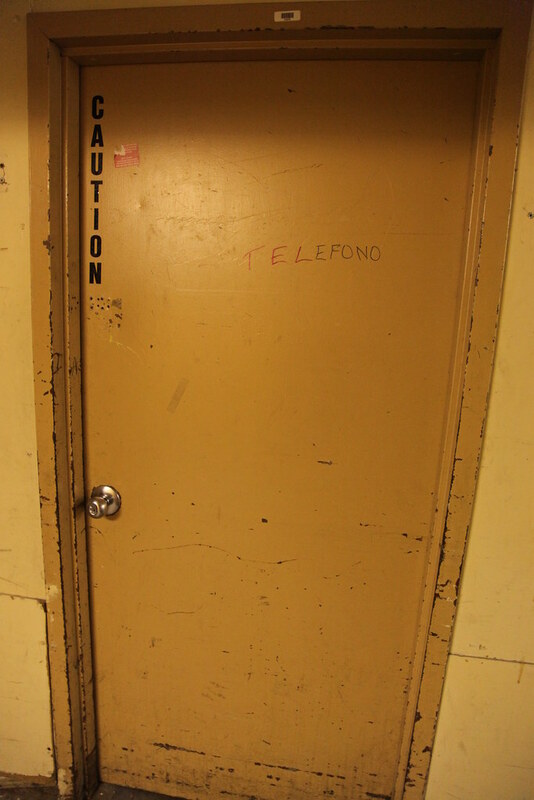 Not to stereotype but most likely this door was labeled "Tel" by the telephone company, whose technicians were having trouble finding the unlabeled door. Then the, um, ethnic maintenance staff completed the incompletely spelled work. 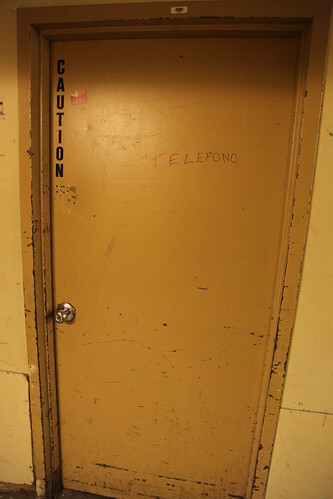 Interestingly this door was just a janitor's closet, the actual telephone closet was behind a second door, only accessible from this closet.